The Carlton Draft (TCD) is probably not the brand you think it is…similar sounding name maybe, but they offer a very unique set of products. TCD is a young, wholly online fashion store, who create humorous and quirky products based on your favourite sporting teams and stars, mixed with Australian and popular culture. TCD approached Arthur St Digital to gain some direction on the marketing of their viral products. They needed assistance capitalising on what began as a passion project for a group of sporting nuts. The Carlton Draft quickly gained national reach with their in demand response to current sporting events in the form of clothing. Creating a known brand and products that could be recognised throughout the country had already been achieved. Whether it’s a “Dangerwood” tee (a mash up of Dangerfield and Selwood), or a T-shirt of Shane Warne riding a cigarette with accompanying text “Warne to be wild”, The Carlton Draft brand aren’t afraid to make noise across social media, which lead to their massive growth. With over 115K dedicated TCD social media followers on Facebook and Instagram, the challenge for Arthur St Digital was to turn the reach, awareness and viral nature of their products into commercial sales. 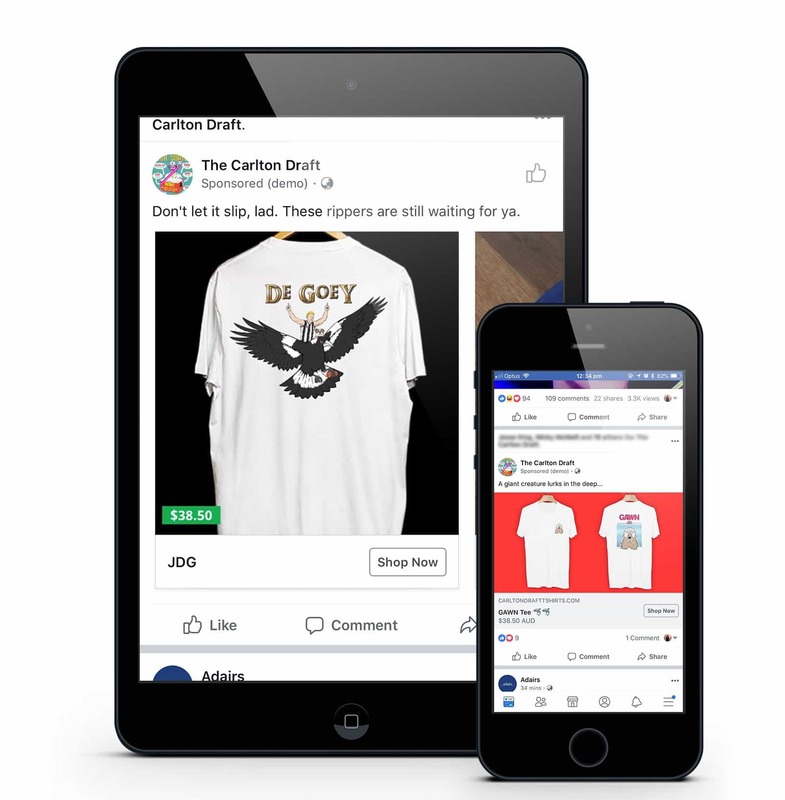 Extensive experience in running successful and targeted social media campaigns allowed Arthur St Digital to assist The Carlton Draft in driving a huge increase in product sales. Due to TCD’s already large and complete following on social media, the Facebook and Instagram channels were the optimal place to target existing and new customers. A combination of carousel and static image ads were created with simple product imagery in each. Arthur St Digital also initiated A/B testing to test, learn and optimise the extensive campaign. Dynamic remarketing ads were perfectly suited to TCD’s large range of products and ever-growing inventory. These methods allowed products to be automatically displayed to users who added that product to their cart on The Carlton Draft website, but were yet to make the purchase. Clever hey! When The Carlton Draft engaged Arthur St, they were experiencing a lull period in which sales had stagnated and their audience were less engaged. As soon as the targeted campaign began, sales instantly began to climb. Due to the viral, on demand nature of the client’s product, the campaign was continuously updated, ensuring the creative stayed fresh, and the audience engaged without being bombarded with repetitive ads. As the graph indicates, the campaign helped generate positive revenue increases month on month, with a large focus on the AFL Finals period, which delivered more than double the previous month’s record revenue. 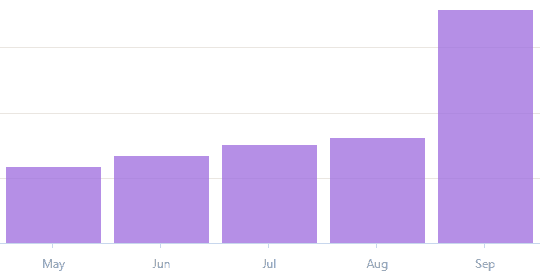 Over four months, the campaign resulted in over 1200 product sales, costing just $5.10 to deliver a purchase. With a small investment, the campaign delivered a 1106% return on ad spend. In other words, for every $1 that was spent on the campaign, the client was getting back $11.06. The campaign continues to run, and the results clearly speak for themselves. Arthur St. Digital’s emphasis on establishing a close, yet transparent client relationship (without the jargon) allows The Carlton Draft to witness the direct benefits of undertaking paid social media marketing.